How will universities deal with online degrees (MOOCs)? Promoted as a way of using technology to extend education to all, Massive Open Online Courses (MOOCs) have also been criticised as being a portend for the reduction in the quality of educational content. Is there a real decline in educational standards as many think there is, and what is the relationship between standards of education and the use of technology in facilitating education? Education is a hotly contested subject due to the special role it plays in passing on knowledge in society, or what Oakeshott described as ‘the conversation between the generations’. Many in education, the media, politicians, policy makers and academics have celebrated a ‘learning age’ in which easy access to information has been confused with knowledge and understanding, and led to the pronouncement that it is redundant. Others suggest that the idea that constant innovation and change mean that knowledge is soon ‘out of date’, undermining the requirement to pass on ‘the best that has been known and thought in the world’ and is a symptom of the decline of the social project of educating. The celebration of technology in education is surely not in itself progressive. Technology can have an educational role but if we are not educating then it may only worsen the crisis of meaning in education. A facile and faddish concern with the processes by which students learn or ‘co-construct’ what they are learning could be denying them the possibility of an intellectual life. In essence, students are potentially getting more of an edutainment than an education in this ‘learning age’. The debate about MOOCs coincides with a change in the traditional meaning of education. Education is about adult authority; about passing on knowledge and understanding to the next generation. Is this transmission likely to happen through playful pedagogical tools when the lecture, the seminar, the tutorial and the essay (or gathering data in the lab) have previously been seen as the only things that work? The mixture of patronising and therapeutic activities that universities now label the ‘student experience’ shows there already has been a change in what a university is seen as being for, so would MOOCs alongside work be better? Socrates knew that education involves a personal relationship between lecturers and students, which you can have in the Agora but can we really achieve it on Skype? Are institutions opposed to MOOCs are less concerned about defending their quality control of education provision than their arcane position? As the Open University have been providing distance learning degree courses for decades now, isn't MOOCs the next logical step? And should the educational relationship of students submitting to the intellectual guidance of their tutor perhaps be revised to meet the requirements of a more enlightened epoc? 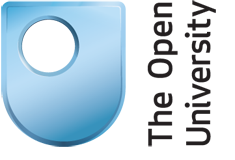 The Open University plays a unique role in society making lifelong learning open to all, inspiring and enabling people to develop wherever, whenever and however they need. Promoting social justice by inspiring learning throughout the world, the OU aim to lead the learning revolution by taking innovation to the heart of learning and research. Responding to the needs of individuals and employers and of the societies in which they live and work, the OU are dedicated to supporting their students’ learning success. Students from the UK and around the world have free access to some of the country’s leading universities through Futurelearn Ltd, an OU funded company bringing together a range of free, open, online courses. With a student body of around 11,000 the University of Bolton believe you will get the best of all world. Based around a modern, compact campus where no-one feels anonymous and, with small teaching groups on many courses, you can be sure you are a name, not just a number. Bolton itself is a friendly, thriving town close to the big cities of Manchester and Liverpool. The University of Bolton's teaching quality has consistently won the highest ratings possible from the Government's quality control agency and have professional accreditation for more than 30 of their teaching programmes.